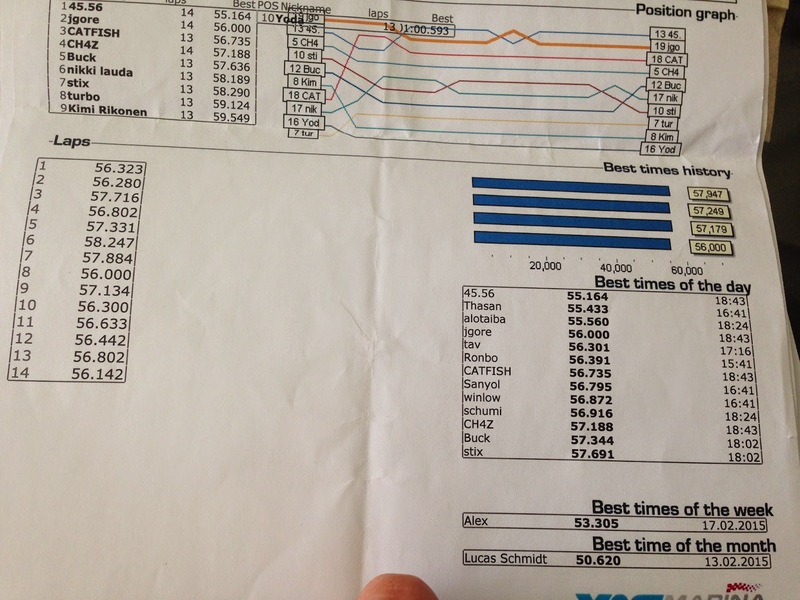 There appear to be a ton of Karting places around Abu Dhabi – not only locally but up in Dubai and in Al Ain as well. We planned on a trip to Al Ain although it was closed the day we had available, so perhaps another visit it shall be discovered! 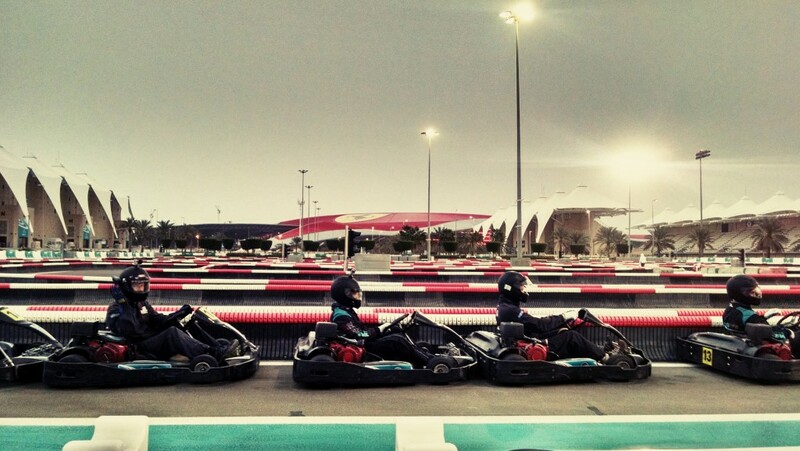 This kart track is at Yas Marina Circuit on Yas Island, an amazing automotive playground out in UAE. Not all taxis seemed to be familiar, so some advice on how to enter: it’s gate 20 that you’re looking for, and likely all programs will start around Yas Central so follow the signs to it. FYI it would be quite a long walk, so even if you’re already at Ferrari World, plan on taking a taxi here. Most times it is open 2pm – 10pm for arrive and drive karting. The big turn on the bottom left of the above track map no longer exists. The kart can be floored from the bottom left to the top right corner of this map. Pricing is 110 AED for a 15 minute session. There’s a 20% discount for students, so be sure to bring a student ID if you have one! At present this is less than $32, and for so much karting on a pretty nice large outdoor track with nice karts, I’d say it’s a pretty good deal. The track is 800 meters or half a mile, and the karts seem slightly faster than the typical gas powered karts out here in the US. Track conditions may vary as dust/sand can be blown on it as well, potentially making things a little loose. If you’ve got them, it’s worth bringing some of the single dirham coins as the vending machine in the Yas Central lobby next door sells water for only 2 dirham. The karting facility provides a racing suit (I wore 3XL at 6’2″ 180 lbs in their sizing), helmet, balaclava and gloves. It’s a pretty amazing place to kart given that you are right inside of Yas Marina and have a clear view of Ferrari World as well! It was a lot of fun here and I’d definitely go back. Josh and I managed to pull some top time spaces for the day (jgore and tav). Video of the track below, you can hear me being a little goofy a couple times too. Top pick from Josh’s flickr album.